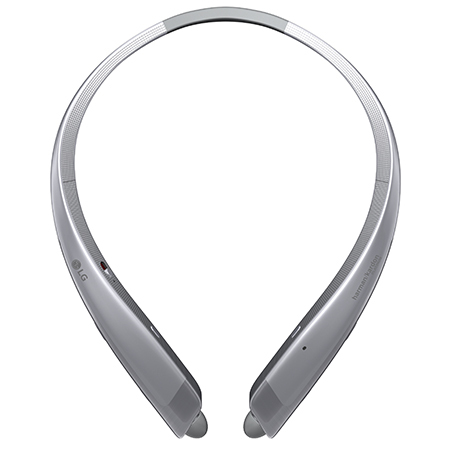 LG Electronics (LG) unveiled its most premium addition to the TONE Series of Bluetooth headsets at the Mobile World Congress (MWC) 2016 in Barcelona, Spain on the 22-25 February 2016. In addition to its good looks, the new TONE Platinum delivers unrivalled style and superior audio quality through a partnership with Harmon Kardon®. Having secured the Harmon Kardon Platinum grade, the newest TONE Platinum is de-signed for both professionals and avid music lovers. LG has adopted the Balanced Armature design as the sound module for the latest TONE Platinum model to minimize distortion. The design usually reserved for high-end wired earphones. In addition, its aluminium earphone housing helps deliver a more sophisticated sound performance. The headset features aptX™ HD Audio Codec to deliver CD-like quality audio over Bluetooth that faithfully reproduces the full audio bandwidth and minimizes latency by significantly reducing the bit rate without affecting sound quality. The premium headset also offers noise cancelling dual microphones for clearer calls even in the noisiest environments. The TONE Platinum’s sleek aluminium finish adds a premium look and feel to the device, while its ergonomic design allows users to wear the headset for hours without dis-comfort. To further enhance convenience, LG added Voice Command to handle incoming calls just by voice while the Tone & Talk app has been enhanced to support Voice Memo and Find Me via any Android smartphone (version 4.1and higher). 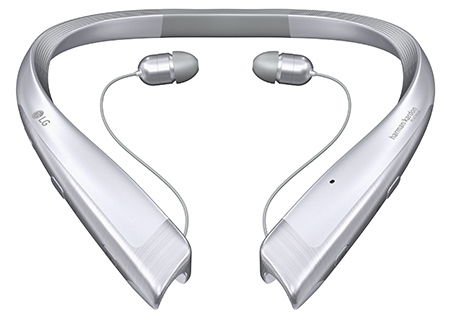 LG has already rolled out the latest premium Bluetooth headset in the United States, followed by other key markets in Asia, Europe and Latin America. I have used HBS-700 headsets and found them to be totally amazing and looking forward to review these amazing bluetooth earphones.